Mr. Nevelow's practice involves primarily the representation of clients in general civil litigation matters including personal injury, wrongful death, insurance defense, construction, business purchases and corporation formation, trade dress infringement, and breach of fiduciary duty. 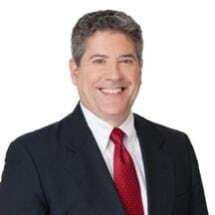 He also works with clients on commercial disputes, construction matters, employment matters, insurance coverage, business purchases and corporate formation. Mr. Nevelow has also acted as a guardian ad litem on many cases. His practice extends outside of central Texas to Dallas and to the Texas Valley. Mr. Nevelow was first included in the Texas Super Lawyer magazine (a Thomas Reuters publication) in 2005. His Martindale-Hubbell ® Peer Review Rating is AV® Preeminent™ 5.0 out of 5.0. Represents contractors in multi-million dollar claims and lawsuits involving construction defects, delay damages and bond claims. Represents parties in serious personal injury and death claims involving automobile, 18-wheeler, construction site, workplace accidents and residential accidents. Successfully prosecuted a trademark and trade dress infringement case in Dallas County, Texas in 2011. Successfully defended wrongful death, burn, worksite accident, premises liability, trucking, products liability, DTPA, automobile accident, personal injury and insurance coverage cases at trial. Coordinates rapid response on-site investigation and documentation of serious automobile, construction and workplace accidents. Represented homeowners in claims by or against neighbors and contractors. Represents companies in contract disputes. Represents clients in numerous alternative dispute resolution procedures. Assist clients with growing their business including protecting marks, leases, developing policies and procedures, handling employment issues and obtaining proper insurance coverage.